On March 10, 2019, the container ship MV Grande America caught fire and sank in the Bay of Biscay, sending 2,000 new cars to the ocean floor. Some of those cars were Porsches valued at nearly $300,000 each and some were Audis. They were near the end of a complex supply chain from manufacturer to warehouse to a final shipping destination. The fire started on the deck with the cars. An investigation is underway. Besides the cargo containers floating and sinking, there is also the issue of oil leaking from the ship. The hazardous materials the ship was carrying were 2,200 tons of heavy fuel, 10 tons of hydrochloric acid and 70 tons of sulfuric acid. This liquid hazardous material is in open water of the Atlantic headed for French beaches. A year earlier, on March 6, 2018, the nearly 8,000 cargo containers were at risk of burning up on the cargo ship Marest Honam. The ship had a container fire while in the Arabian Sea between Singapore and Suez, Egypt. The flames were confined to the main deck of cargo containers but spread to the ship’s bridge as well. Much of the cargo was hazardous materials. The fire took five weeks to extinguish, creating an environmental issue as well. The textbook definition of a supply chain line of transportation has a few thorns along the route. Container fires break out on ships at sea as well as docked at port being loaded or unloaded. Fires inside shipping containers are common and expected. One of the more common reasons for a container fire is that the cargo is mislabeled. The problem seems to be that a shipper or manufacturer may not want to list the cargo that could be hazardous or explode or start burning. If they did, the expense of shipping would be higher, or the cargo might not ship in time to meet some customer demand. They lose money. It is easy for shippers to follow the rules, regulations or laws, but it seems that enough shippers violate those rules despite a historic reminder of another ship fire or container fire. Not everyone seems to tell the truth in supply chain, logistics or transportation management. But not every container fire is due to mislabeling. That backyard barbecue bag of charcoal is one source of container fires. It appears that certain types of charcoal are self-heating and can burst into flame when the heat gets too high in the cargo hold area. Not all cargo containers are air-conditioned. Small amounts of gasoline in a cargo container can start a fire by exploding due to heat building up in the cargo area. Many products that cause explosions or fires include fireworks, ammunition, electrical materials and construction materials. In 2017, containers at a port in China caught fire because of lithium batteries. One final thought on containers that cause fires or explosions has to do with how many directions a cargo ship can move. A rail or truck cargo container moves in one direction, forward or backward along a straight line of rail or road. However, a ship at sea can move in six different directions. The nautical names for these six directions are heave, yaw, roll, surge, sway and pitch. You may have seen news videos recently of passengers on board a cruise ship at sea with no power being pounded by wind and waves and current, going in those six directions. The kind of shipping container that is used makes a difference in whether or not an explosion or fire can break out. Most of us see those shipping containers being hauled by a truck driving along an interstate highway. The only difference seems to be the color and maybe the size of these metal boxes. 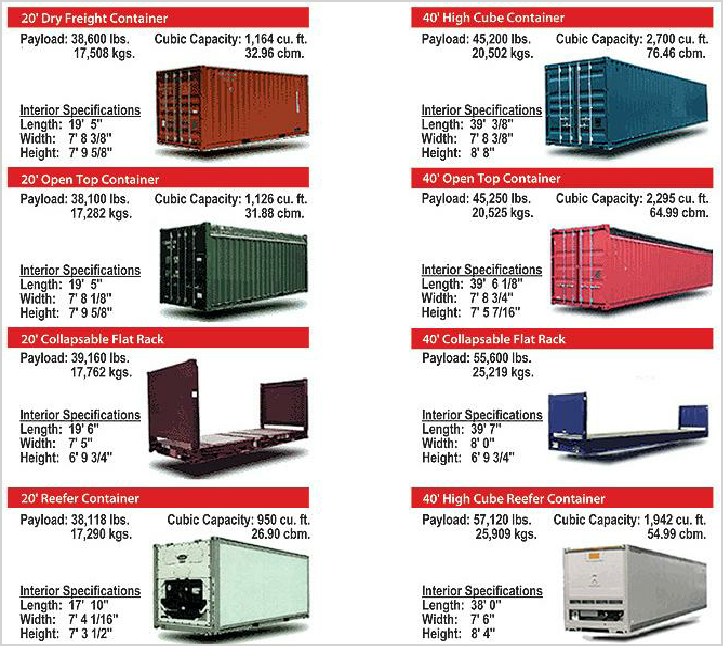 These shipping containers have weight limits too for the cargo inside them. Are Some Containers Safer for Certain Types of Cargo? Not really. Container transport and storage safety appear to be a matter of handling or stacking containers according to some basic rules. For instance, before a container is stacked, inspect it for cracks or dents or age for overuse. When stacking containers, the operator needs to stack the same size on top of the same size container, such as a 40-footer on top of a 40-footer. But if 20-foot containers are part of the mix, then stack two 20-footers under the 40-footer. All of the stacked containers must be locked to each other to prevent them moving around. As for the safety of shipping containers, they all are safe for the cargo that is meant to be in them; again, unless the original shipper or customer violates some shipping cargo content laws. Are Shipping Containers Being Phased Out? It seems that these shipping containers we see on the highways, trains or ships are used until they are ready to be recycled. There is a creative reverse logistics business for such containers. They can be used as small theaters and bistros, auxiliary classrooms, temporary housing, workshops, emergency hospitals, toilets, student housing by stacking them into an apartment complex, swimming pools and even gardens. There are regulations regarding what can be shipped in a cargo container and the type of container to use. If you are to ship a hazardous material, you are supposed to put a label on the container, much like you see on the back of a tractor trailer on the highway carrying gasoline. In the U.S., the Department of Transportation (DOT) requires the use of hazard class placards placed on all sides of containers transporting hazardous materials. For domestic transport of cargo, the Code of Federal Regulation (CFR), 49 CFR Subchapter C Vessel Specific §176, provides the rules and regulations to follow for proper classification, description, markings, packaging and labeling. 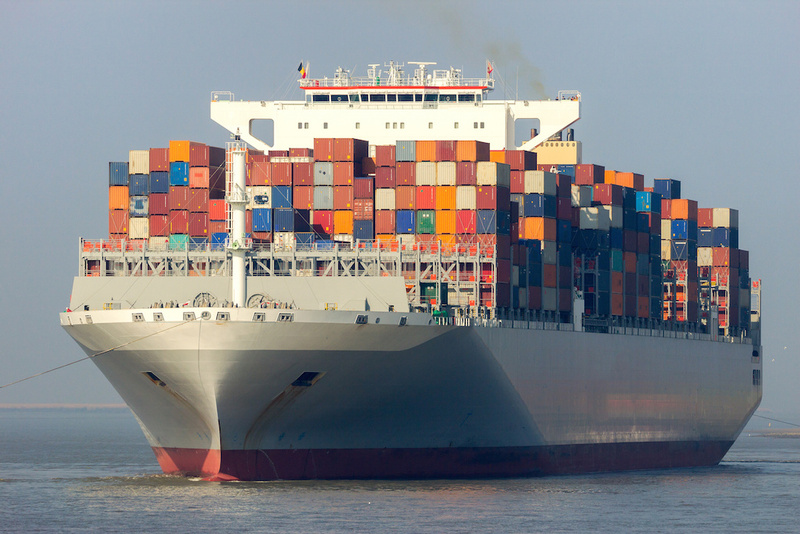 International ships at sea must follow Title 49 of the U.S. Code of Federal Regulations, Parts 100-185, which requires shippers to properly identify and notify the government about all data and information on the contents in those containers. The Department of Homeland Security (DHS) and bomb squads are now involved in preventing container fires and explosions. It is not just the case of some shipper trying to save money or pay fines for shipping hazardous materials that could explode or ignite and cause a fire. While the cargo manifests for normal supply chain activities can cause problems, DHS is more concerned about a different kind of cargo, such as illegal drugs; explosives meant to harm people or attack the U.S.; chemicals that are banned from entering the country; biological agents that are lethal when exposed to the air, drinking water or the food supply; nuclear weapons; and humans entering the U.S. illegally for some kind of slave trade. DHS and lawmakers would love to inspect each container that enters a U.S. port. But these ships carry thousands of containers. And the business of the ports is to process the cargo movement through this critical juncture in thousands of supply chains that began overseas in a factory or farm. All of those goods or produce are funneled from thousands of initial supply chain transportation and logistics facilities into one tiny spot, a ship, and then a port of entry. The current inspection process appears unable to check each container at a port coming off a ship, being stored in a yard, or loaded onto a tractor trailer for delivery to a grocery store, retail market, or factory. This is the job, however, of The Department of Homeland Security’s (DHS) U.S. Customs and Border Protection (CBP). They work with academics, industry experts and scientific organizations to find the fastest and easiest way to check the insides of such containers. A bomb squad was sent to check out a cargo container ship at the Port of Los Angeles in October 2018. The vessel was on its way to a recycling plant — part of a reverse logistics movement of metal parts — when a container of recycled metal exploded. The inspectors think that something inside it caused the explosion. What we have just read is what makes the job of a supply chain manager so difficult. If you were expecting 2,000 new cars to be delivered, your customers and you have a problem of replacement. Or if produce for a special time of year is at the bottom of the sea, new orders for replacements need to be made. Ordering cargo containers full of ripe produce, finished cars or fireworks for July 4th celebrations cannot be accomplished overnight. The normal business of business has changed a great deal since 9/11. Cybersecurity and homeland security are now part of the supply chain managers’ world along with warehouse managers, trucking companies and railroads that deliver cargo containers.